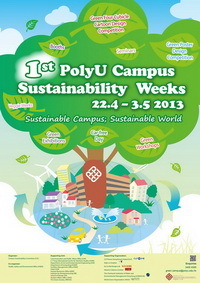 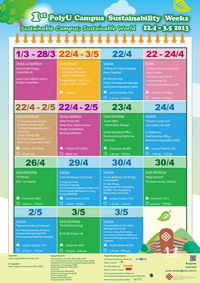 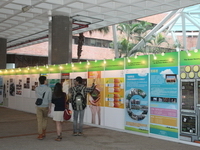 PolyU is staging its first Campus Sustainability Weeks on 22 April - 3 May with the theme “Sustainable Campus; Sustainable World “. 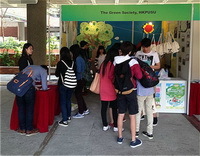 The event features a wide array of theme-based activities including Cartoon Design Competition, Poster Design Competition, Exhibitions and Seminars, Veggie Day, Car Free Day, Green Office - Horticulture Therapy, Mosaic, Magic Enzyme and Food Waste Dyeing Workshops. 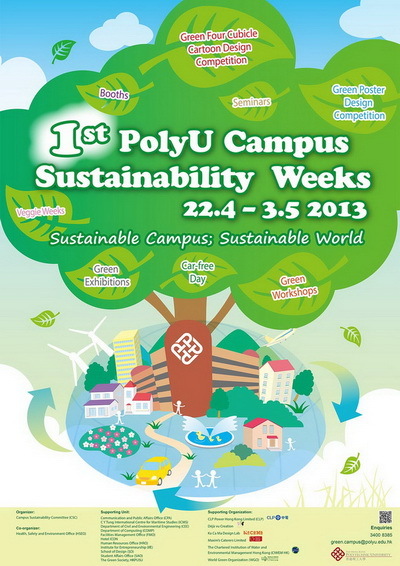 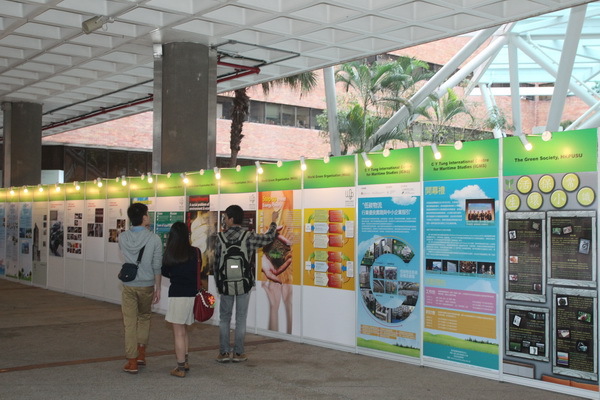 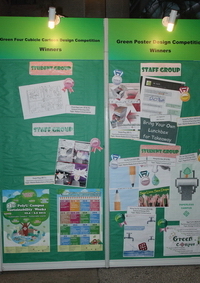 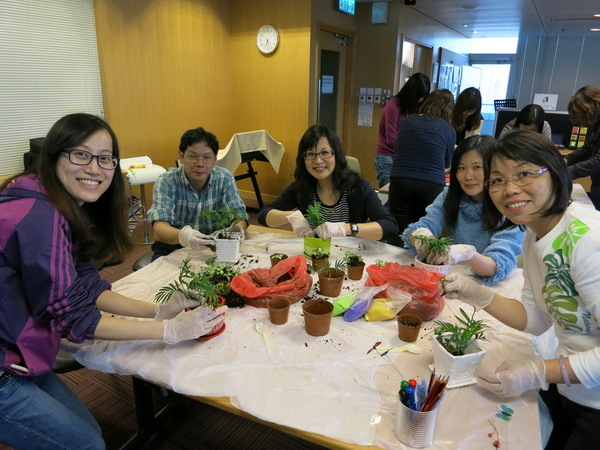 While pursuing green initiatives on campus, the PolyU community is also working towards a sustainable world.